The article focuses on finding a pretty woman whose image had been hijacked, sure, but what I found most interesting (but sadly unsurprising) was how it pointed to a site that promises to a thousand followers to anyone who pays…wait for it…about $17. Yes, the site is real. And no, you shouldn’t be surprised, in the least, that such services exist. Earlier this week I got an email from a fellow who has been using Facebook to market his products. He was utterly convinced that nearly all the clicks he’s received on his ad were fake – bots, he thought, that were programmed to make his campaigns look as if they were performing well. He was further convinced that Facebook was running a scam – running bot networks to drive performance metrics. I reminded him that Facebook was a public company run by people I believed were well intentioned, intelligent people who knew that such behavior, if discovered, would ruin both their reputation as well as that of the company. Instead, I suggested, he might look to third parties he might be working with – or, hell, he might just be the victim of a drive-by shooting – poorly coded bots that just click on ad campaigns, regardless of whose they might be. In short, I very much doubt Facebook (or Twitter) are actively driving fraudulent behavior on their networks. In fact, they have legions of folks devoted to foiling such efforts.Yet there is absolutely no doubt that an entire, vibrant ecosystem is very much engaged in gaming these services. And just like Google had at the dawn of search marketing, Twitter and Facebook have a very – er – complicated relationship with these fraudsters. On the one hand, the gray hats are undermining the true value of these social networks. But on the other, well, they seem to help important customers hit their Key Performance Indicators, driving very real money into company coffers, either directly or indirectly. I distinctly recall a conversation with a top Google official in 2005, who – off the record – defended AdSense-splattered domain-squatters as “providing a service to folks who typed the wrong thing into the address bar.” Uh huh. As long as marketers are obsessed with hollow metrics like follower counts, Likes, and unengaged “plays,” this ecosystem will thrive. What truly matters, of course, is engagement that can be measured beyond the actions of bots. It is coming. But not before millions of dollars are siphoned off by the opportunists who have always lived on the Internet’s gray edge. Still curious as to how Google will incorporate ads into G+…. John, there are over 300 million such opportunists. Search for ‘Buy Followers’ on google. Google returns over 300 million results. A dubious honor, sign of having one’s own ecosystem. I suppose Spotify is next. A very interesting report thanks for bringing it up. I couldn’t agree with your last paragraph more “What truly matters, of course, is engagement that can be measured beyond the actions of bots. It is coming. But not before millions of dollars are siphoned off by the opportunists who have always lived on the Internet’s gray edge.” The number of followers, likes and even shares can be faked but not social conversation part. The challenge now is to measure conversations and codify the process. This is one of the reasons I loved using Engagio (full disclosure: I am working at Engaigo) because it enabled me to manage and discover new social conversations. I value the connections I made through Engagio on the different platforms more than the number of twitter followers or Likes that I get. Thanks for pluggin, which I don’t mind at all, given it’s a service that is working to address the very issues I raise! I remember making the comment (a tongue-in-cheek one) that a little click fraud was a good thing. Based on the fact that QS is in some way dictated by CTR. I am sure for some marketers bragging about a CTR of X at the conference is all they care about, after all, it’s not their money. In the early stages of anything (and let’s be honest Facebook Advertising is in it’s early stages still), most people fall over campaign success, but when it becomes a mainstream activity as Adwords is now it becomes more of a challenge, which is when the true experts flush things out. 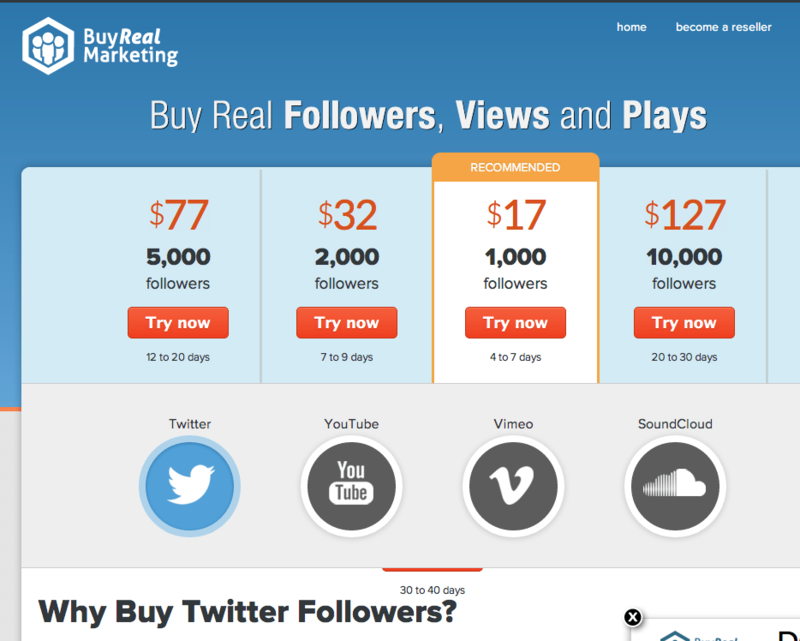 Anuj, if you put that search in ” as in “buy followers” the number comes down to 202,000 but still a big number. I am sure there are some agencies coining it with good old fashioned arbitrage. Brands paying $2 a like that might have been bought by one of these services. If it doesn’t work, it’s the brands fault for not having content the “people” wanted to engage with. I too feel the same most of the popular brands could well be “bots.” Because the followers rate increase rapidly day by day. Many people follow this grey hat methodology to promote their products via online means. These sites do work buy fans cheap is an example of another one. Not that everyone thinks its a good idea. Next Next post: The State of Digital Media: Passion, Goat Rodeos, and Unicorn Exits….